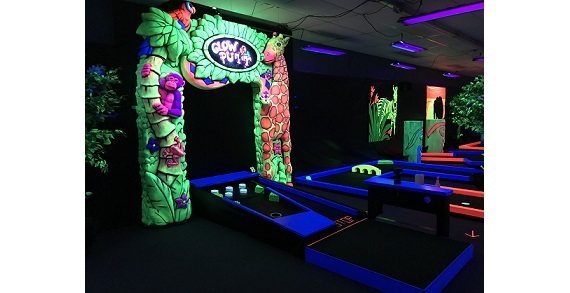 Come in from the cold, Columbus...it's always a glowing 70 degrees at Glow Putt! 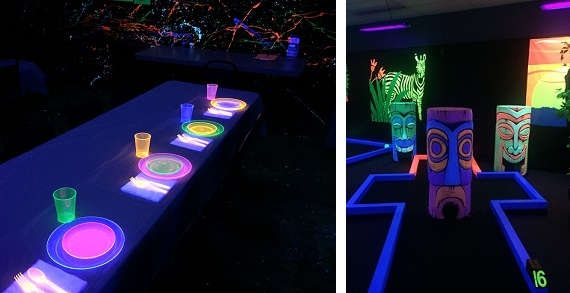 Come play the "COOLEST" indoor, glow-in-the-dark, golf course in Columbus! 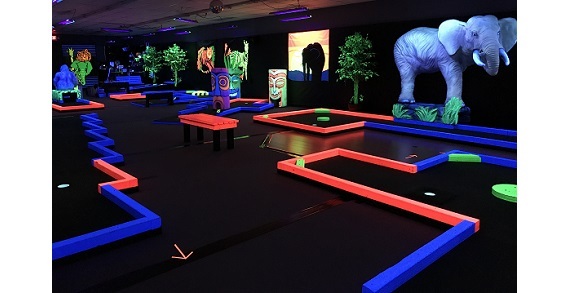 For a unique miniature golfing experience, come on a safari with Glow Putt. 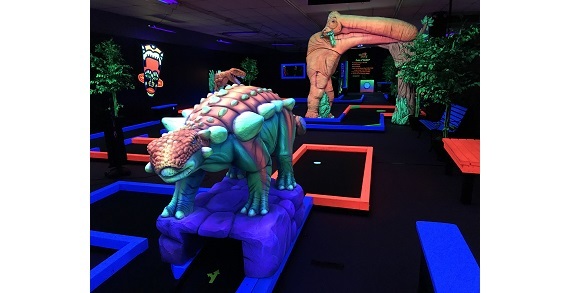 Under a spectacular umbrella of black lights, you will navigate through a jungle of 18 exciting holes of mini golf with tiki Gods, exotic wildlife, bamboo forest and a dino invasion. Also a great place for birthday parties, team banquets and corporate team building. 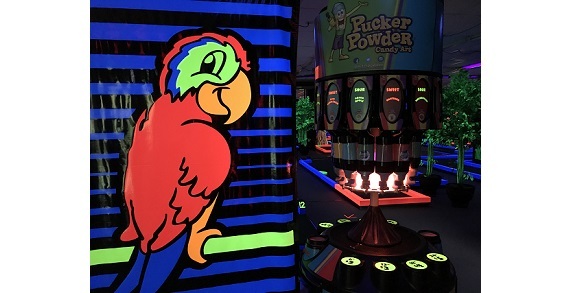 Pricing: $7.50 Adults; $5.50 Kids for 18 hole mini golf.